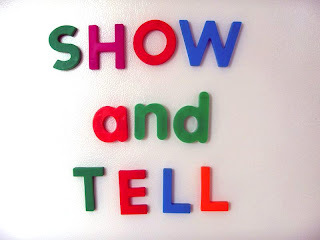 We thought - since no one really wants to be at work on a Monday - we'd host a show & tell. Each week a St. Luker will be telling us about something interesting they've seen/ done/ overheard which tells us something interesting about the state of the world. Every Friday, we'll post the topic of conversation so you'll have a chance to think about it over the weekend. Part Left Bank philosophy, part creative showcase, show & tell will kick start the week with a caffeine burst of inspiration. Come ready to talk.